An award-winning and extraordinary story of a boy who protects a baby whale that locals believe is threatening their livelihood.Winner of the Margaret Mahy Book of the YearNew Zealand Book Awards for Children and Young Adults 2015Young Adult Category WinnerNew Zealand Book Awards for Children and Young Adults 2015Storylines Notable Young Adult Fiction Award 2015Will Jackson is hiding out, a city boy reluctantly staying with his uncle in small town New Zealand while he struggles to recover from a brutal attack and the aftermath of a humiliating YouTube clip gone viral. After he discovers a young abandoned orca whale his life is further thrown into chaos, when he rallies to help protect it against hostile, threatening interests. This threatens to tear apart the small fishing community and forever changes Will's life.The boy and the whale develop a special bond, linked by Will's love of singing. With echoes of classic book and film The whalerider this powerful connection is utterly convincing on the page. An exciting plot-driven story full of drama, tension and romance, this magical book captures both heart and mind to hold the reader enthralled from start to finish. These qualities, along with its lyrical use of language and its compelling and persuasive exploration of many global concerns, makes this a beautifully touching, rich and multi-layered story by an award-winning writer for young adults. 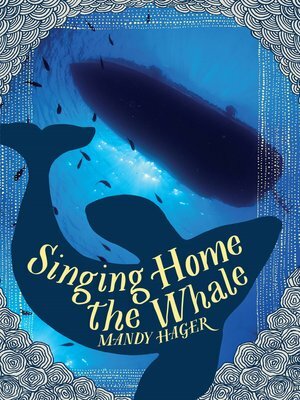 Singing Home the Whale will appeal to all readers of high-quality New Zealand fiction.